It’s been a few weeks since I’ve written anything that feels propulsive or has captured my attention. I do tend to meander after finishing a novel… picking up ideas, examining, discarding. As Springsteen said, I’m just tired and bored with myself. That’s just the way it works. Novels are exhausting and consuming. So it’s difficult and stressful to start the process again. But when the right idea shows up, it’s worth it. I never know where the ideas come from, but I’m grateful for them. They’re never the shiny things. They’re more like half-buried pennies that I keep stepping over in search of something more dazzling. Discovering a character’s voice that infiltrates my thoughts, an image that won’t go away. And so I’ve been writing. And now it’s rolling downhill. 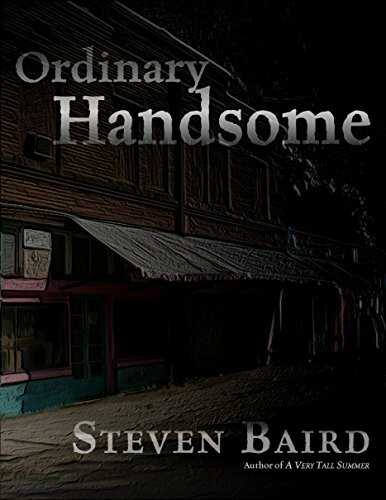 With Ordinary Handsome, the image was a boy travelling down a dark road. With A Very Tall Summer, it was a woman in an isolated cornfield. With this new one (currently untitled, but I’m thinking “Elani”), the image is a brother and sister beside a muddy stream. And that’s all I can say about that. I dream about it, it’s become that clear. And it feels like I’ll be working on it for quite a while… it feels really big. I won’t jinx it by saying more. A big ‘thank you’ to those who follow my little blog. Most of my posts lately have been working on my voice… challenging myself to write with a little more depth, and the feedback has been wonderful. So thank you, thank you, thank you! Back to work. The kids are calling on me to keep going. Cheers, and have a great week! Keep going, yay! Sounds like you’ve found a really good road. Roll on, Steven!